Just a note of thanks for the fantastic lessons the boys have received this year. 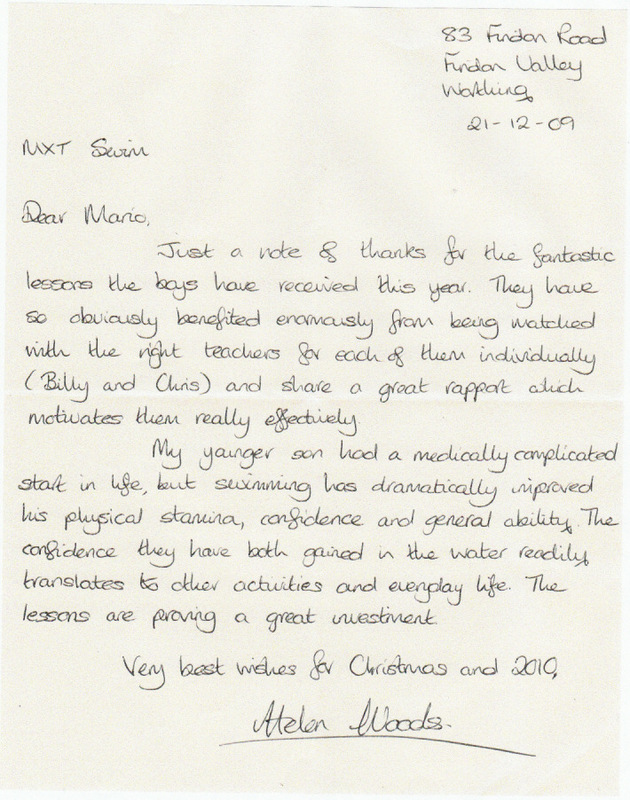 They have so obviously benefited enormously from being matched with the right teachers for each of them individually (Billy and Chris) and share a great rapport which motivates them really effectively. My younger son had a medically complicated start in life, but swimming has dramatically improved his physical stamina, confidence and general ability. The confidence they have both gained in the water readily translates to other activities and everyday life. The lessons are proving a great investment.